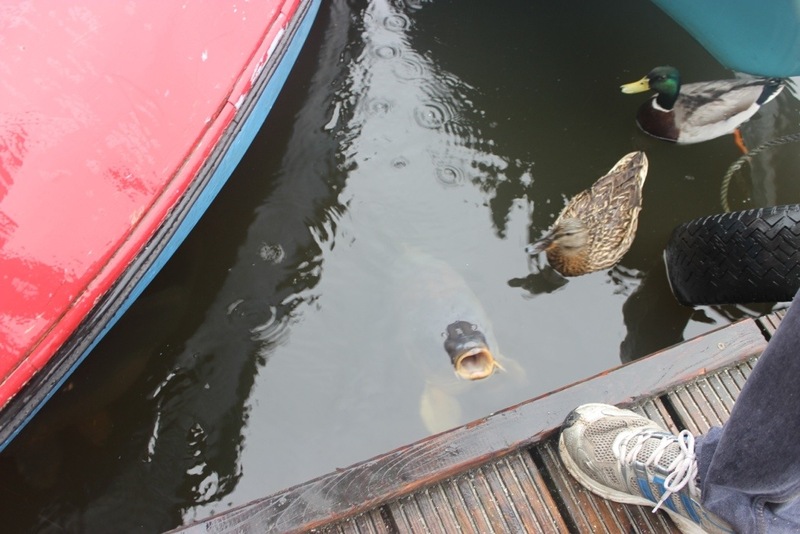 The fish in this lake were HUGE! No matter where we go in the world, if there is any type of animal nearby- we will find it and stare at it for an incredibly long time. 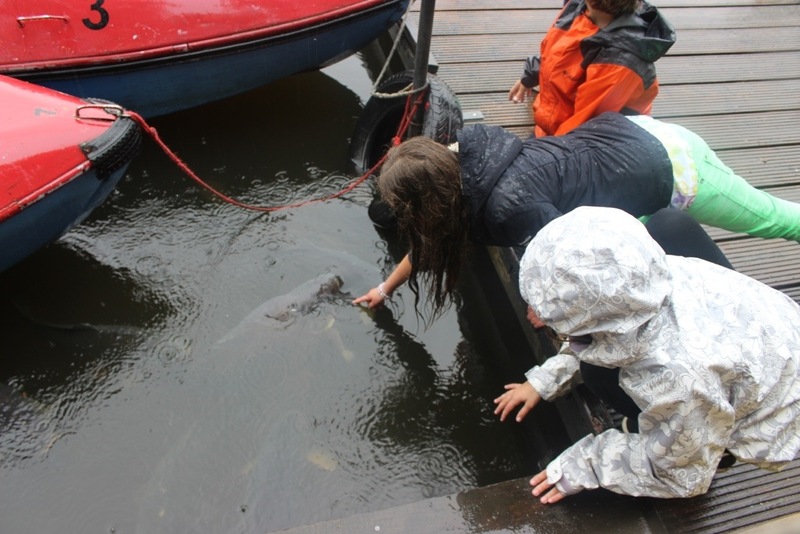 The kids loved watching these fish eat – you can see their mouths poking out of the water. 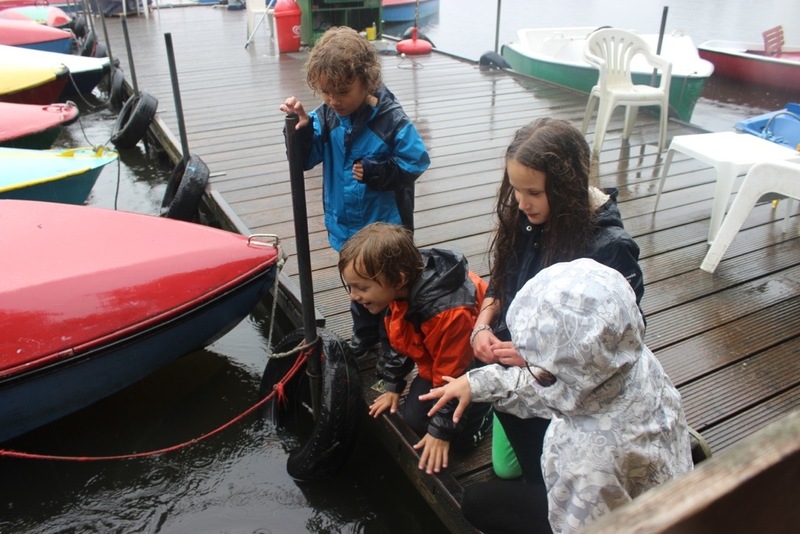 Becky showed the kids that you can touch the fish, so they had lots of fun doing that. 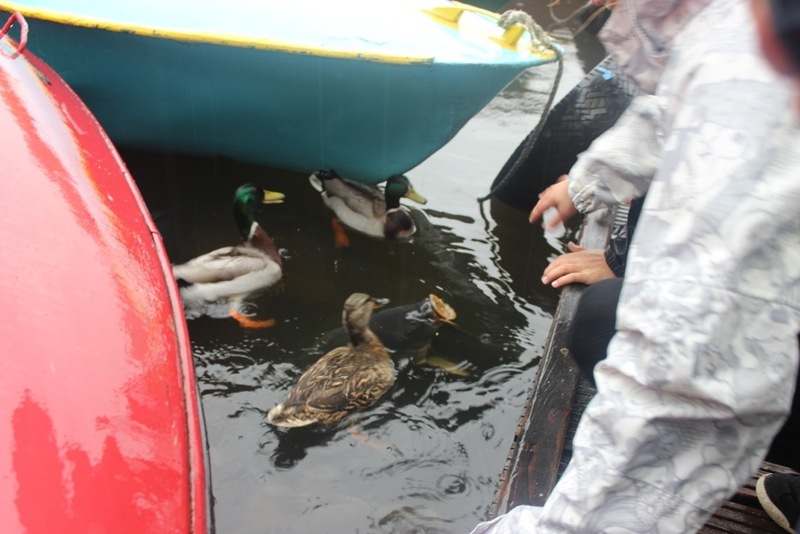 The ducks tried to snag some food but were quickly chased away.